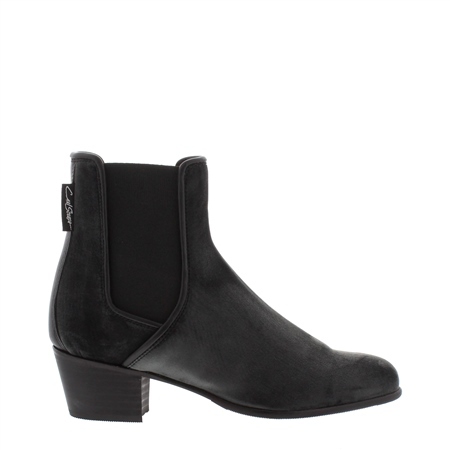 Our Claudia ankle boots are crafted in beautiful velvet, giving the classic Chelsea boot a luxurious update. Leather piping creates an edgy contrast against the soft velvet, while a low heel ensures perfect comfort all day long. Wear them day or night to add style to any outfit. Also available in Black, Bordo and Green.